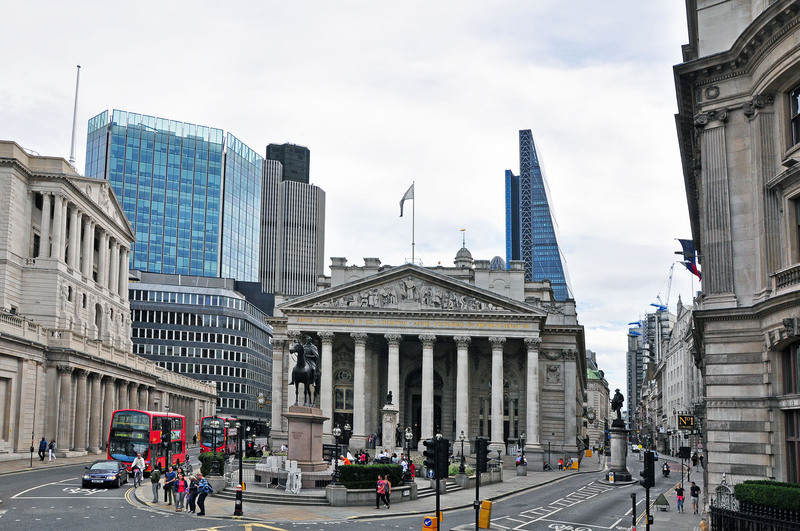 While the reports of the fall of the British pound caused by Brexit have been greatly exaggerated, and the eagerly anticipated affordability of traveling to London never really materialized, the glorious capital of the United Kingdom remains a highly desirable travel destination. During our short trip to this prominent bastion of Western civilization, my husband and I were heavily relying on The London Pass with its free entrance to a slew of museums and sites; Hop-On Hop-Off bus, from which we could observe most of the architecturally stunning city, and the magical Oyster Card that provided unlimited rides on the Tube (www.visitbritainshop.com offers substantial discounts for overseas guests). At the time, my slow recovery from a broken ankle wouldn’t allow for much walking, but one thing we couldn’t resist – East End Food Tour, an easy on-foot excursion that combined a culinary exploration of the hippest neighborhood in town with historical commentary and fascinating street art finds along the route. 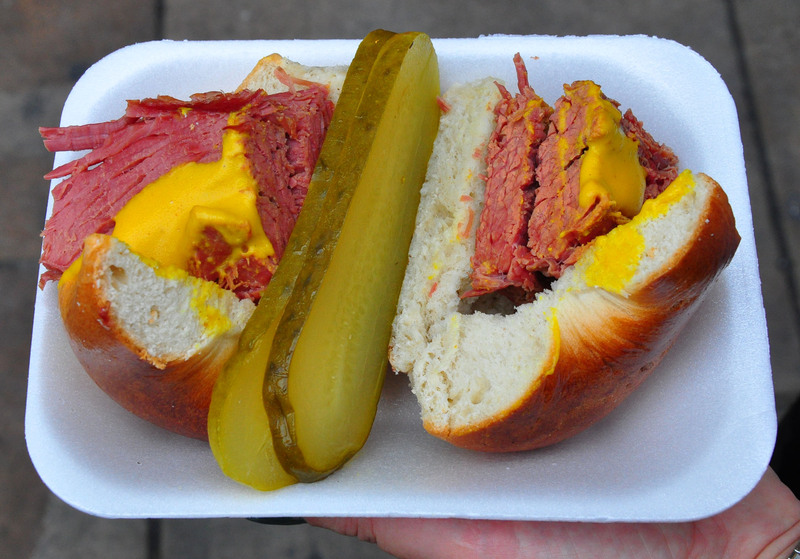 To show off the diverse cultural tapestry of the neighborhood through its multiple eating establishments, our witty and engaging guide, Harry, from the Eating London Food Tours took us to eight authentic food and drink stops. We started off with a famous bacon sandwich at St. John Bread and Wine, then went on to the decadent bread and butter pudding at The English Restaurant, a 17th century eatery filled with Dickensian atmosphere. Then there was a tasting and introduction at The House of Androuet, where we were introduced to the chesses made exclusively in England. At Poppies Fish and Chips, we indulged in the namesake legendary British fare wrapped in newspaper, just like it would be in a mid-century seaside town. At a quaint little pub, the Pride of Spetafields, we had beer and cider, and petted a fat and docile bar cat, friendly with the visitors. Then there were delicious mild and hot curries at Aladin, listed among the top 10 Indian restaurants in London; salt beef with hot English mustard and a sweet gherkin on a soft bagel at Beigel Bake – a 24/7 Jewish bakery, and finally, a slice of salted caramel tart at Pizza East, a favorite hangout for the hip crowd. For the same reason of my impaired walking ability, while the majority of tourist attractions deemed attainable only from the seats of the double-decker Hop-On Hop-Off bus, I decided to concentrate on the historic places where we chose to stay in London – all three exquisite hotels belonging to the Small Luxury Hotels of the World family of 520 independent properties in 80 countries. 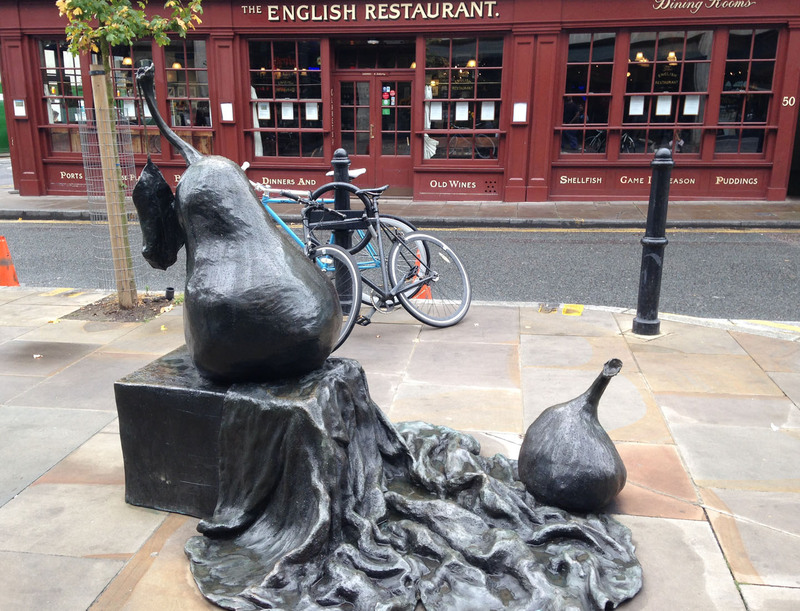 More information at: www.eatinglondontours.co.uk. 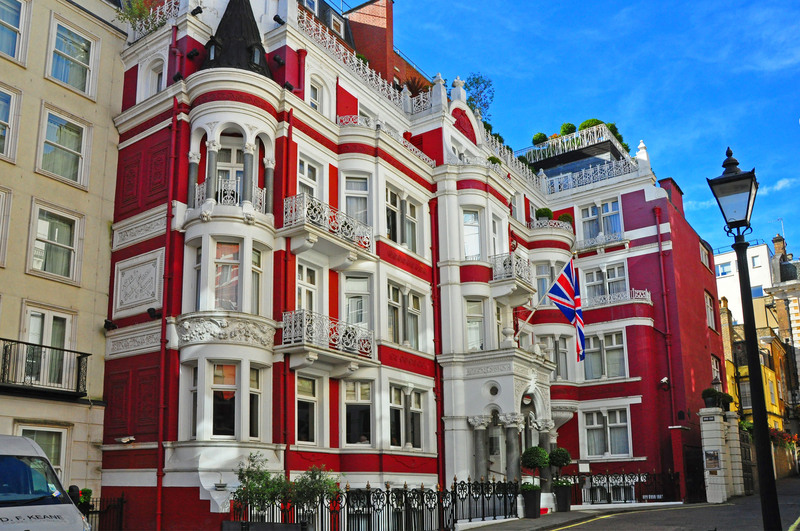 Recently renovated, yet maintaining its original Victorian charm, the five-star St. James’s Hotel and Club is located in a striking red-and-white Italianate building in a cul-de-sac off St. James’s Street in walking proximity to the St. James’s Park, Buckingham Palace, St. James’s Palace, The Mall, and Green Park that consists entirely of mature trees and a carpet of white daffodil flowers blossoming in their shade. It started in the 1850s as St James’s Club for traveling diplomats, founded by Earl Granville and a Sardinian minister Marchese d’Azeglio as a result of a dispute at the Travellers club. Lord Randolph Churchill and Baron Ferdinand de Rothschild were counted among the members. Henry James frequented the Club in the 1890s, and Sir Winston Churchill was seen here in the 1930s and during the Second World War. It was briefly the home of Ian Fleming, the author of James Bond novels, and continued to attract celebrities through the early 1970s when financial problems led to its closure. Only a decade later, the St James’s Club reopened, regained its popularity, and became known for wonderful parties that attracted movie- and showbiz stars, like Liza Minelli, Dudley Moore, Peter Townshend, Sir Michael Caine, Sir Sean Connery, Tim Rice, Sir Elton John, and Christopher Reeve. 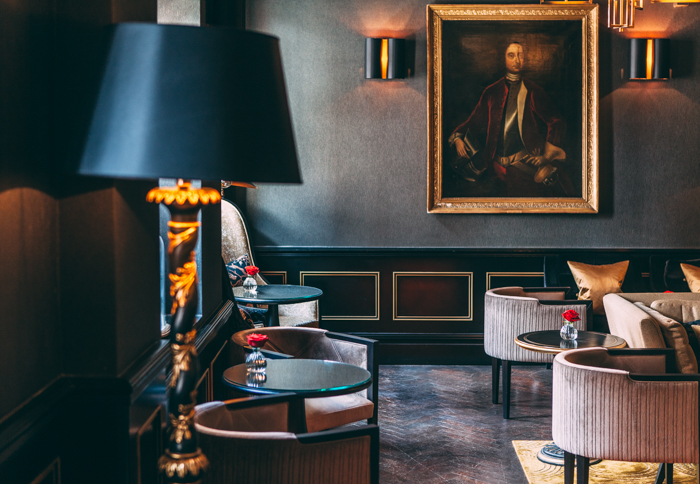 Currently an upscale, intimate and elegant hotel, in 2006 St James’s Club underwent a complete makeover by the famous Berlin designer Anne Maria Jagdfeld, and in 2008 reopened as St. James’s Hotel and Club. The inner décor of this unique property reflects its historical past with carefully selected furniture, wall textiles, Murano glass chandeliers, and a significant art collection of Impressionist, Expressionist and Cubist pieces. Our contemporaries, Samuel L. Jackson, Cher, Luke Wilson, Keith Richards, Alice Cooper, Elle Macpherson, Robert Redford, Dita Von Teese, Colin Salmon, Damian Lewis, Helen McCrory, Michael Bolton, Jack Johnson, Katherine Jenkins and Liza Minnelli have been visiting recently. 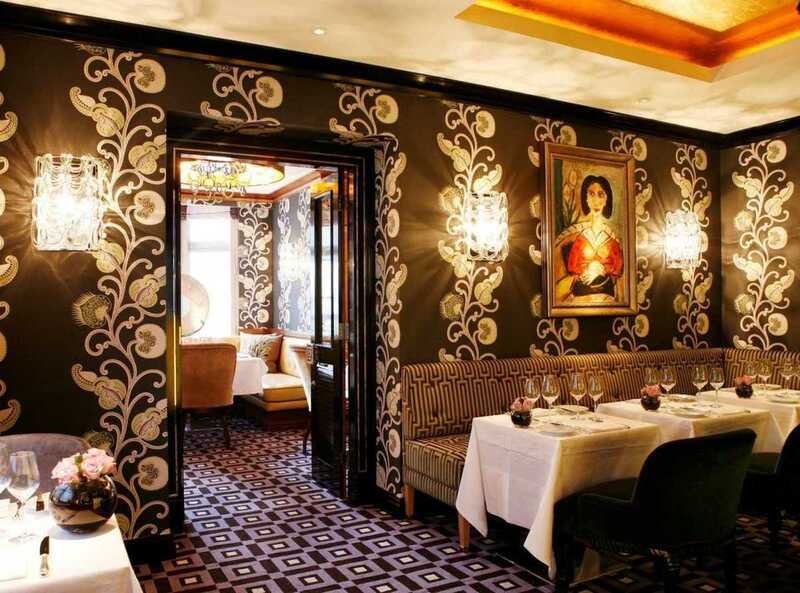 In 2009, the hotel’s restaurant Seven Park Place by William Drabble was successfully launched, and subsequently awarded a Michelin star only one year after opening. 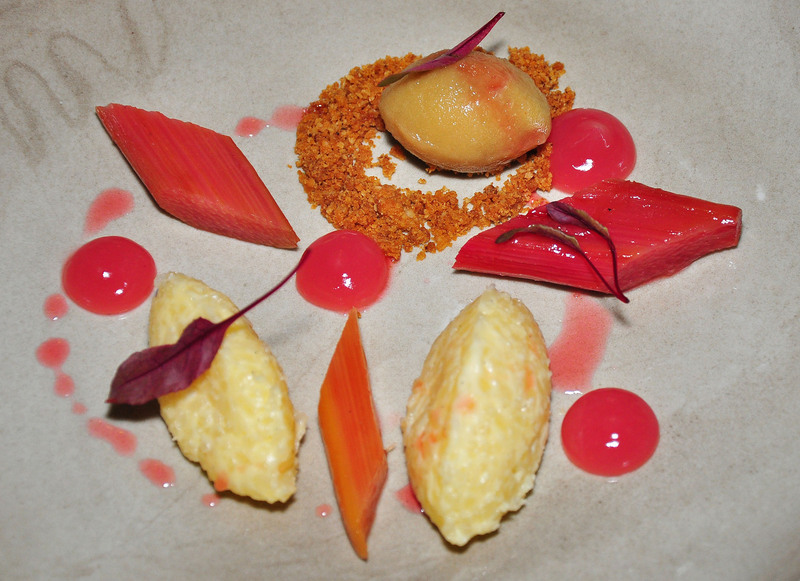 The chef, William Drabble, has created his menu, influenced by classic French cuisine, by using the best British ingredients and following the changing seasons. At this restaurant, decorated like a jewelry box, we were greeted by the Food and Beverage Manager, Antonio Vigorito, and treated to a house-made berry-based liquor by the Head Sommelier, Gonzalo Rodriguez Diaz. Our dinner started with an amuse bouche of a tiger prawn on crispy dough with tomato puree and avocado mousse. Freshly baked breads – brown, thyme, and raisin – were served with three kinds of butter – salted, unsalted, and infused with espelette pepper. Saddle of Lune Valley lamb with peas, onions, and lettuce as well as roast Cambrian grouse with cabbage, mashed potato croquettes, and blackberry jus were great representations of the Chef’s style as well as the dessert – baked apricots stuffed with pistachios. 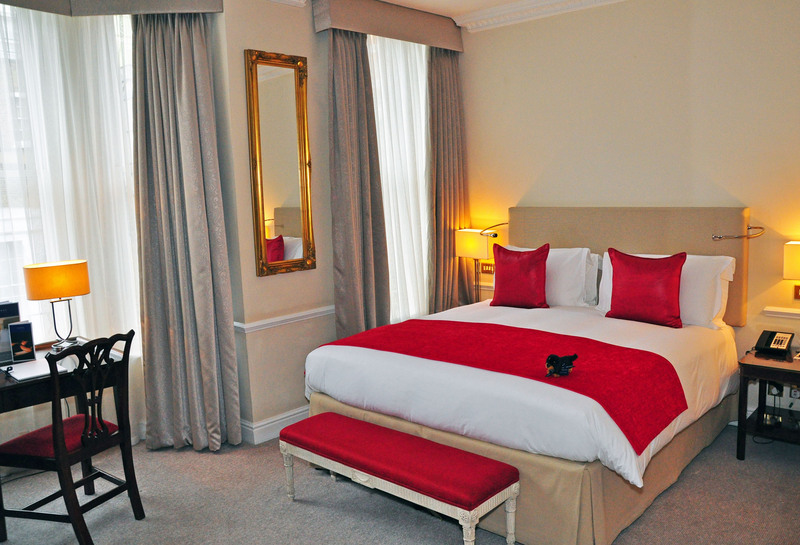 St. James’s Hotel and Club and Seven Park Place are located at 7-8 Park Place, St. James’s London, SW1A 1LS, UK. Call for more information +44 20 7316 1600 or visit www.stjameshotelandclub.com. 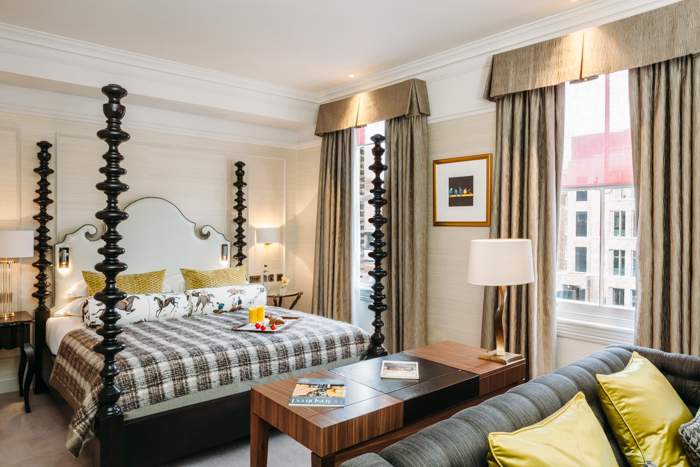 Discreetly tucked away in a charming courtyard off St. James’s Street, on the edge of Green Park, and across from the Buckingham Palace, Dukes London is positioned at a historic location where in 1532 King Henry VIII built a brick [Tudor] St. James’s Palace. Serving as a hunting lodge, the palace took its name from a leper hospital dedicated to St. James the Minor which stood here from the 12th century. 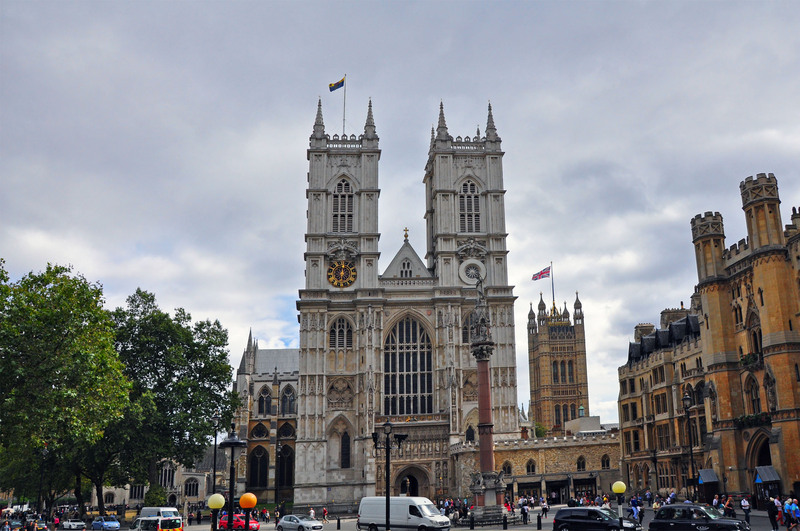 The King held his secret meeting with Anne Boleyn here, before she became his second wife and was subsequently beheaded by her husband. St. James’s Palace was the death place of Bloody Mary; the official residence of the Monarch since 1699; the birthplace of King George IV, and the location of many a royal intrigue, until Queen Victoria established her residence at the Buckingham Palace in 1837. Known as Cleveland Court in the 1660s, named after the Duchess of Cleveland, one of the mistresses of King Charles II, and their three sons – the Dukes of Cleveland, Grafton, and Northumberland – the place contained fashionable coffee houses, gentlemen’s clubs, and finally a small inn, replaced in 1885 with the London Chambers for the sons of Britain’s aristocracy, which then became Dukes in 1908. This place has been home to the many greats, among them Lord Byron, Frederik Chopin, and Oscar Wilde. 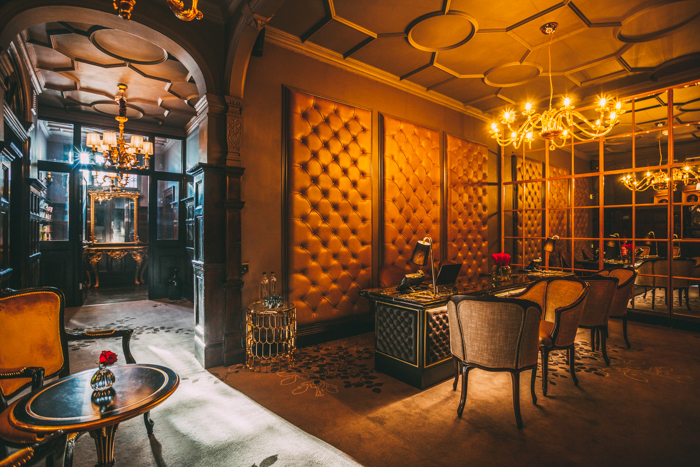 Today, the unparalleled elegance, comfort, and impeccable service of Dukes London greets travelers from all over the world. 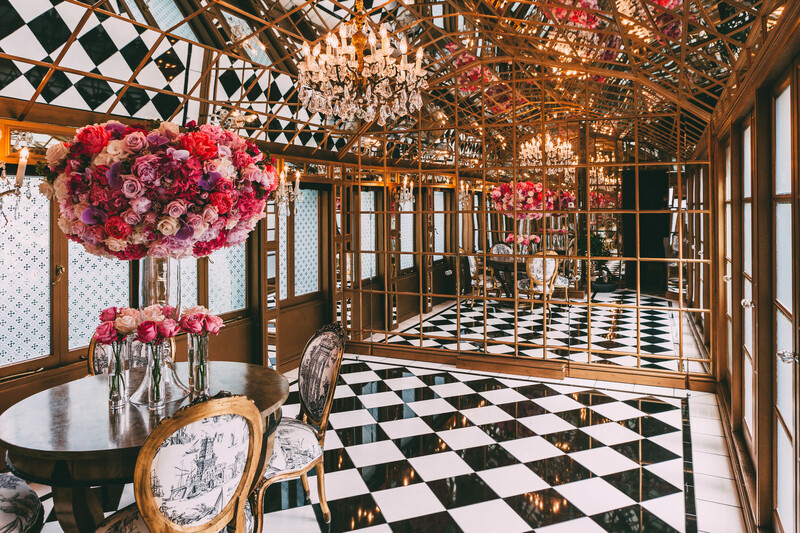 Period furniture, an impressive collection of art, accumulated in the course of a hundred years, and lavish bouquets of white roses throughout the lobby and hallways immediately transport the guests into a charmed atmosphere of luxury living. 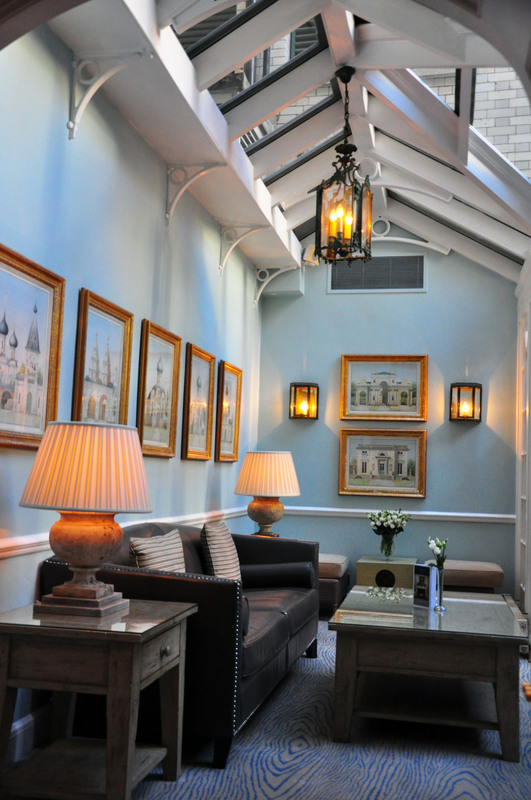 Among its common areas, the hotel features Champagne Lounge, Dukes Bar, a drawing room, a conservatory overlooking the garden, and a full service restaurant, Thirty Six by Nigel Mendham. 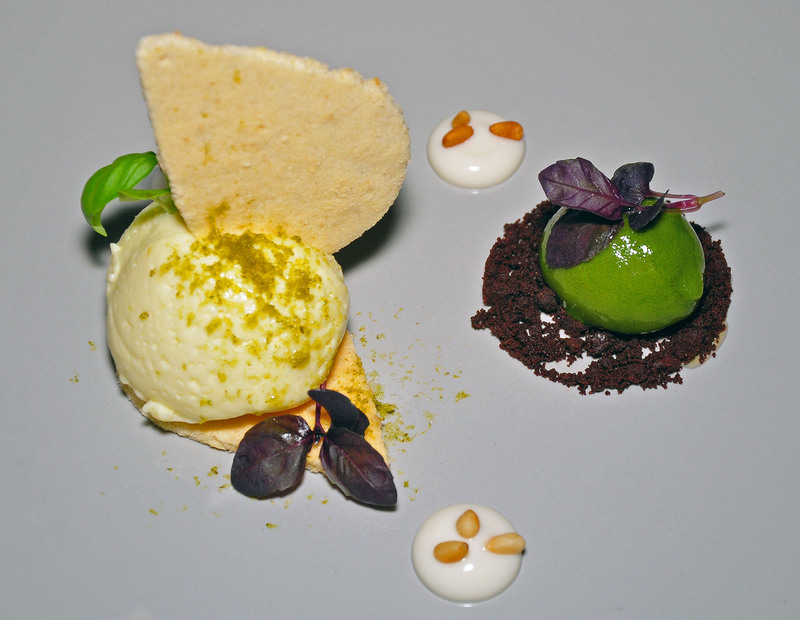 Described as “modern British with a classical twist,” Chef Mendham’s cuisine includes seasonal and locally sourced ingredients, and is considered one of the best in Britain. 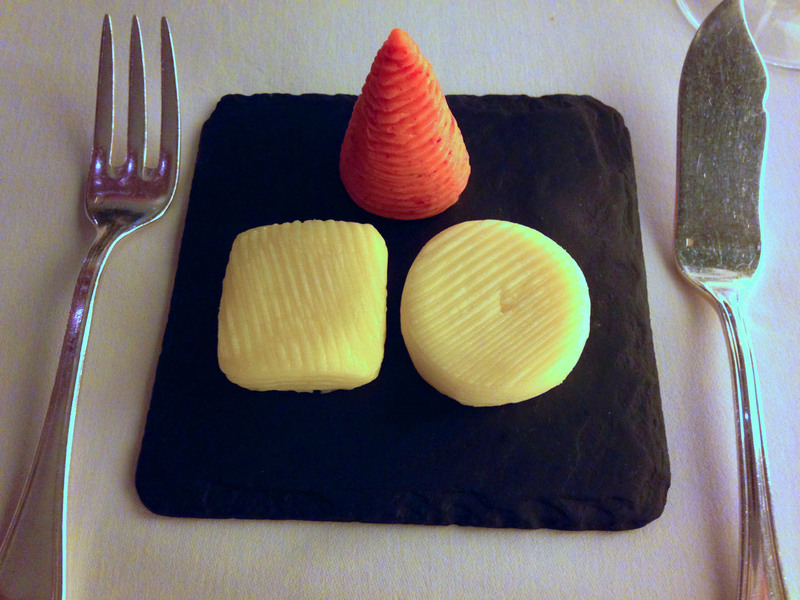 For our dinner, several dishes were presented as artwork – both in terms of plating and in terms of culinary perfection. 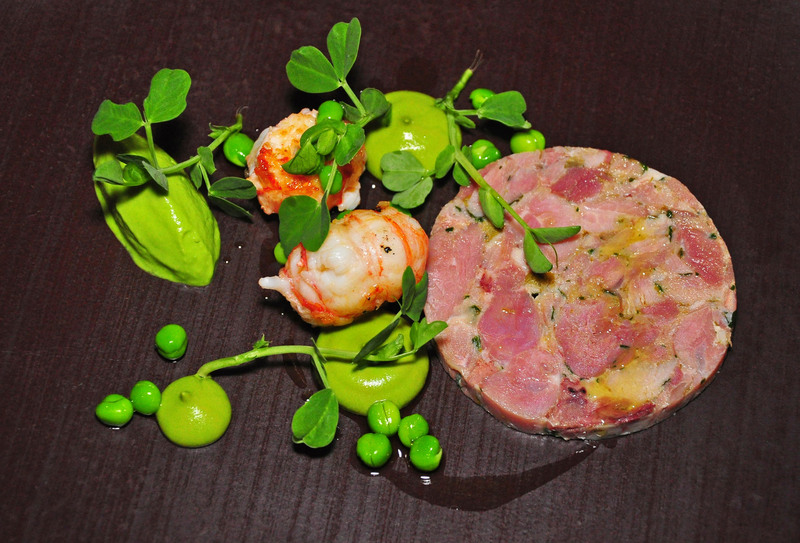 A pink round of ham hock was garnished with coral langoustine, and bright-green pea puree, pea pods, and pea oil. 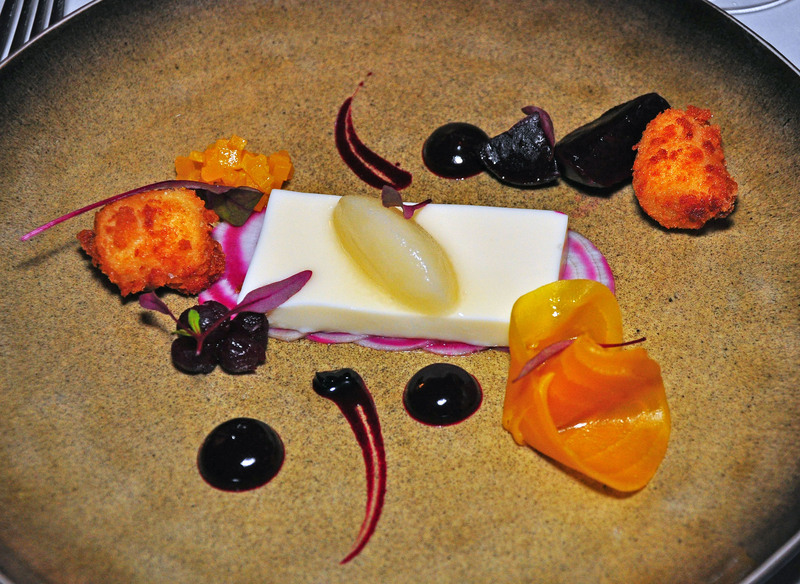 Goat cheese croquets with flan had a bright side of heritage beets, watermelon radishes, and celery sorbet. 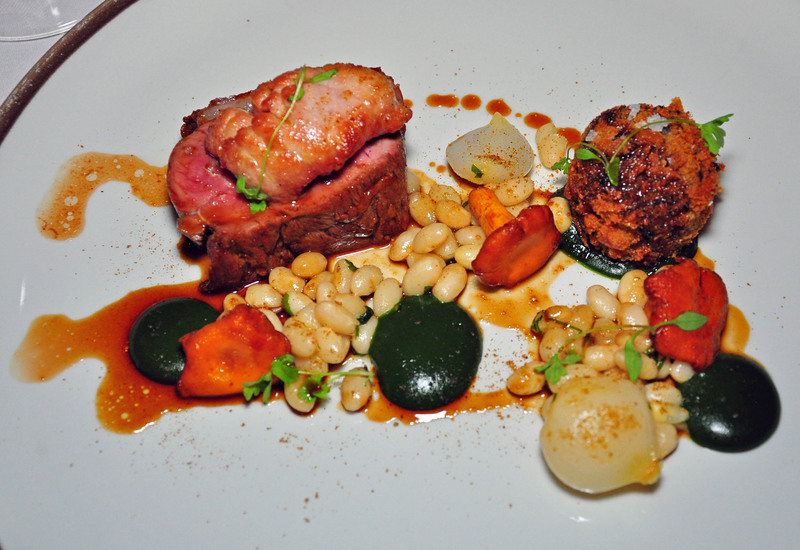 Spring lamb with white beans was accompanied by chanterelle mushrooms, pearl onions, and roasted garlic. 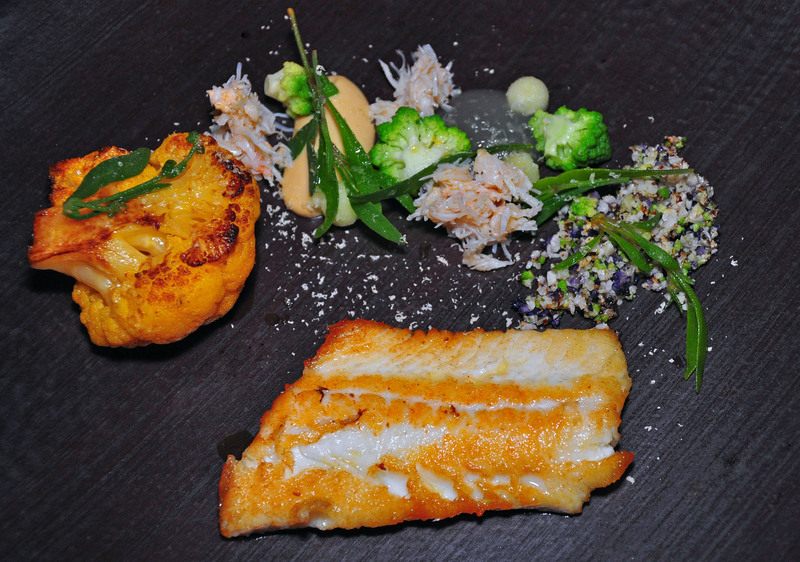 South coast plaice (white flaky fish) was lightly breaded and fried, topped with curried cauliflower, crab meat, apple slices, and almond crumbs. For dessert, we enjoyed white chocolate with basil sorbet, pine nuts, and chocolate crumble as well as Yorkshire pudding with rhubarb, ginger, vanilla, and rhubarb sorbet. Dukes London is located at 35 St. James’s Place, London SWIA INY, UK. 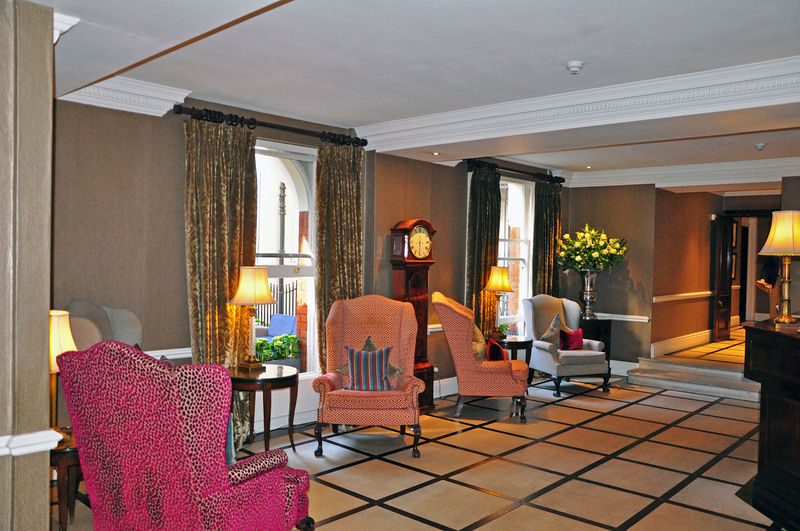 Call for more information +44 (0) 20 7491 4840 or visit www.dukeshotel.com. Thirty Six is located at 36 Little St. James’s Street. Call for reservations +44 (0) 20 7491 4840. 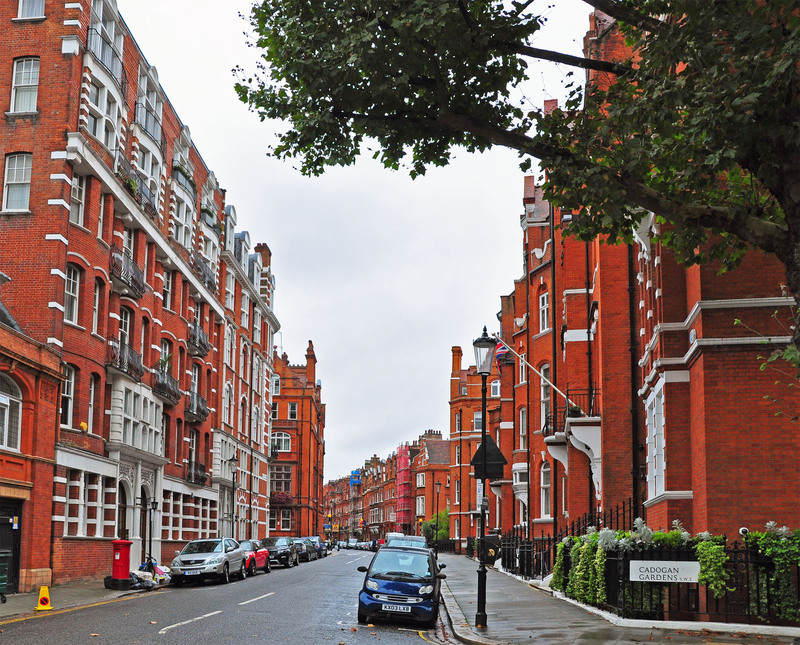 Housed in an imposing red brick building, 11 Cadogan Gardens stands on the border of two posh London neighborhoods – Chelsea and Knightsbridge. Thanks to its location in a prestigious area, in Victorian times, the hotel became a hospitality venue of choice for many traveling aristocrats, politicians, and celebrities – artists and poets – before turning into a private club, and lately into a contemporary home away from home for discerning clientele, with the highest quality accommodations and service. Built by Lord Chelsea in the late 19th century, the original establishment occupied four separate Victorian town houses. 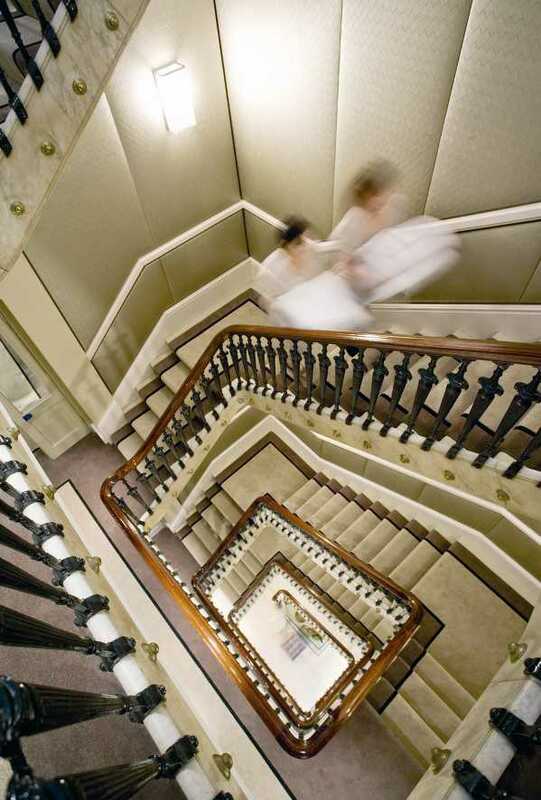 As a result of this sprawling configuration, the updated and modernized, yet decidedly atmospherically-Victorian hotel still has a few sets of hallways and staircases leading to its different areas, all decorated with old paintings, historical portraits, gilded-frame mirrors and black-and-gold lampshades. To get to our exquisitely-appointed room, my husband and I boarded an ancient elevator with a folding accordion door that the guests are so kindly asked to remember to close behind themselves upon reaching their quarters. Otherwise one of the fabulous hotel’s concierges will run upstairs and fetch the elevator for the next party of guests waiting by the concierge desk. Not that anyone objects. 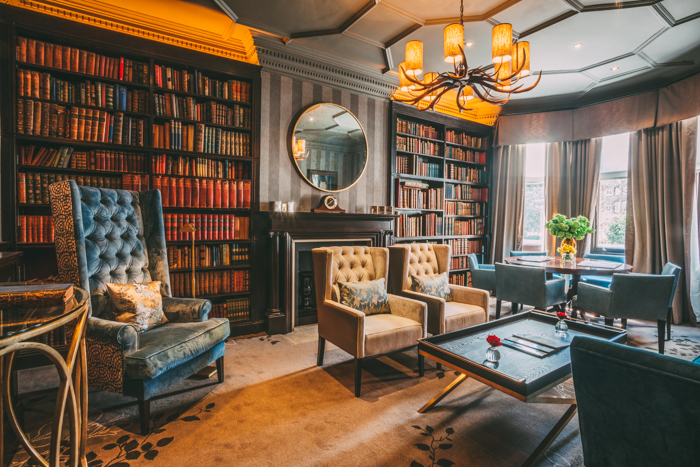 The first floor of the hotel boasts a welcoming reception area and a fascinating library room, equipped with an extensive collection of historic and antique books. Every great British writer starting with Shakespeare and Dickens seems to be represented here in luxurious tomes bound in leather and parchment, while the surrounding period furniture, plush carpets and draperies, an antler chandelier, and cozy oversized armchairs call for an intellectual repose. 11 Cadogan Gardens is located at 11 Cadogan Gardens, Chelsea, London, SW3 2RJ, UK. Call for more information +44 (0) 207 730 7000 or visit www.11cadogangardens.com. To contact the concierge team, email concierge@11cadogangardens.com.